The Whyte Whitechapel is all about simplicity: a single chain ring and nine gears at the back will give years of reliable urban use. 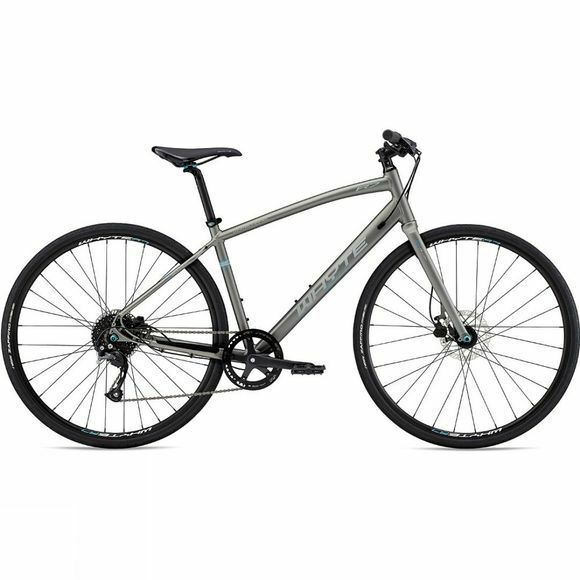 Based on Whyte's high performance mountain bike geometry, all Whyte's Fast Urban bikes have a long wheelbase and relaxed head angle for high speed stability, and a shorter stem for excellent slow speed manoeuvrability. A custom rear dropout allowing the rear hydraulic disc brake caliper to be mounted inside the rear triangle for easy fitment of a rack or mudguards.